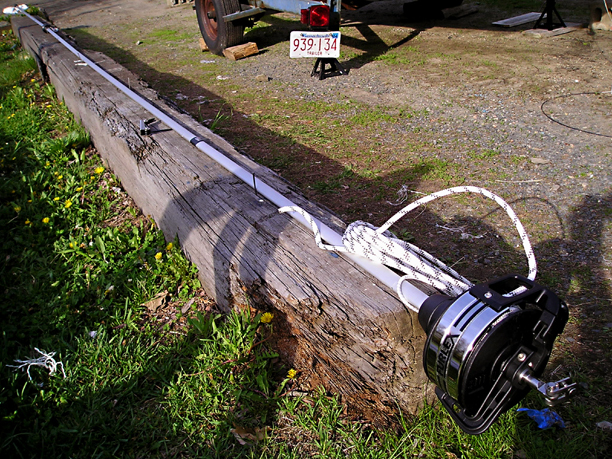 The Furlex 100S system assembled. 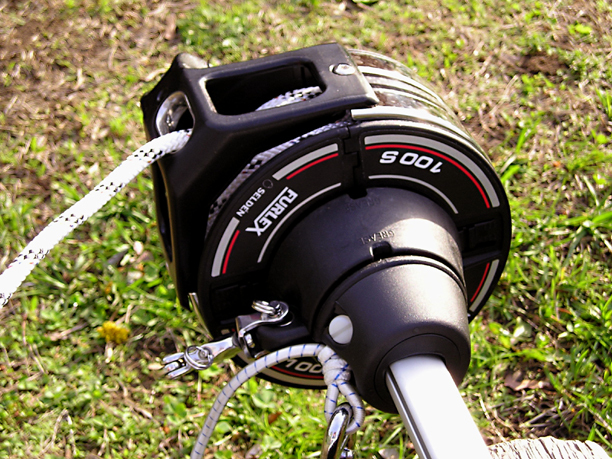 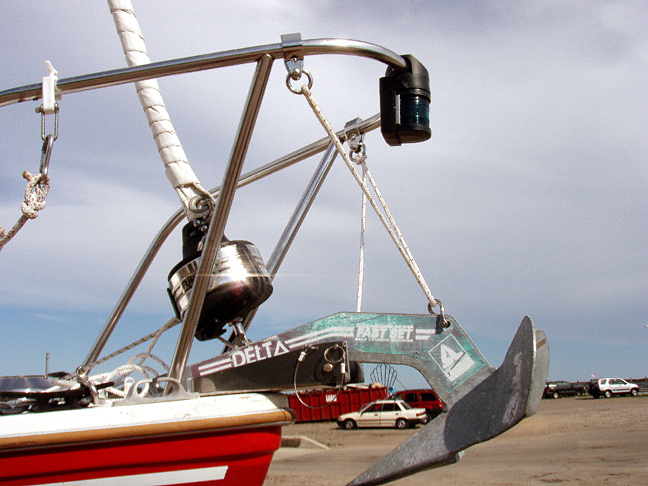 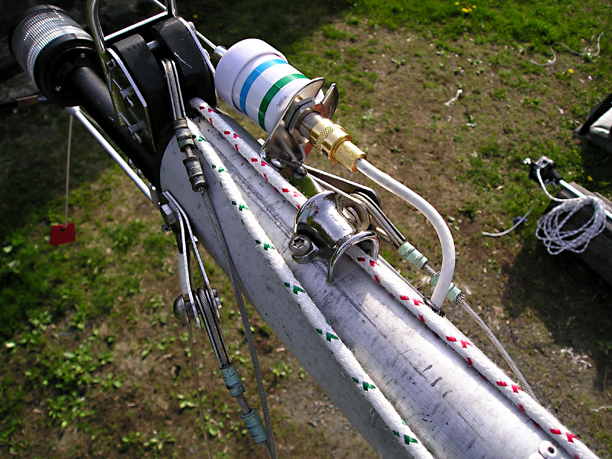 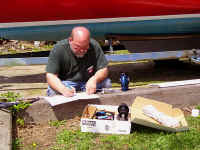 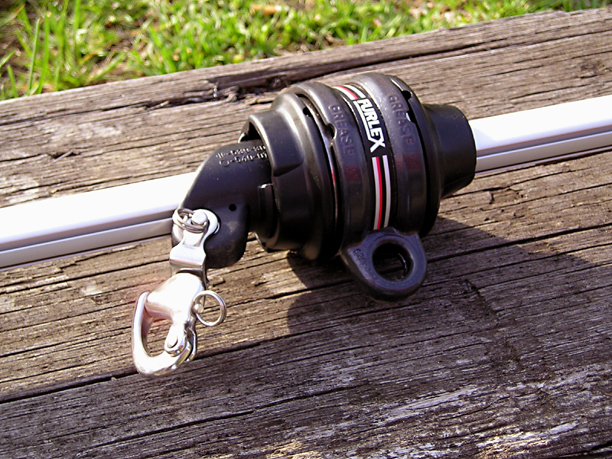 The Furlex furler drum attached to the bow stem fitting with the mast raised. 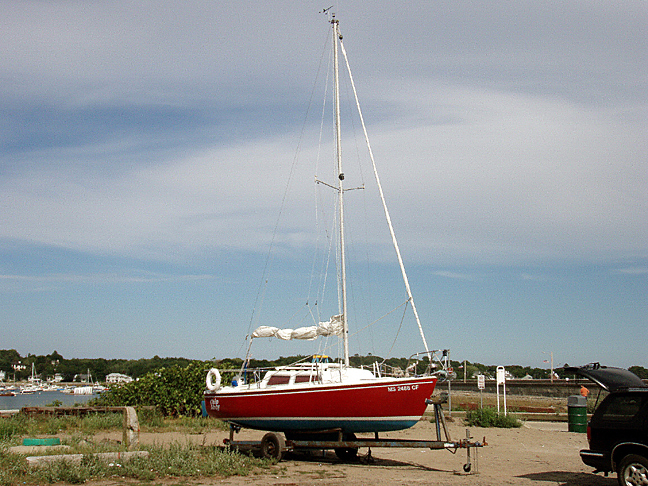 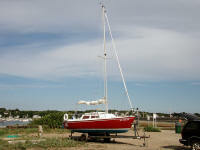 The mast raised with furler installed, ready to launch.